Atticus is another strong personality at Rescue Siamese. 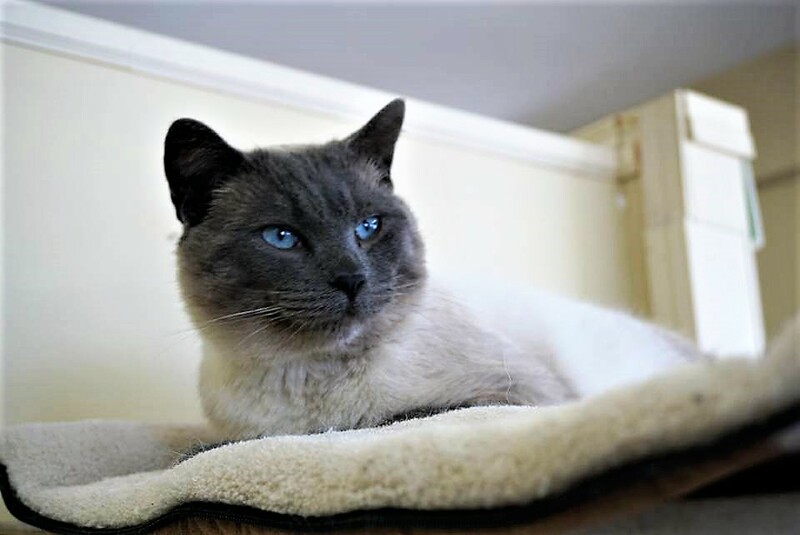 He is confident an curious, and loves all the attention he gets from the Rescue Siamese volunteers–he sure can purr up a storm! Atticus much prefers the company of humans to cats; so he would prefer a home where he’d be the only pet. If you would like to meet his wonderful boy, you can meet him at the Rescue Siamese store location at 38 Barberry Road.